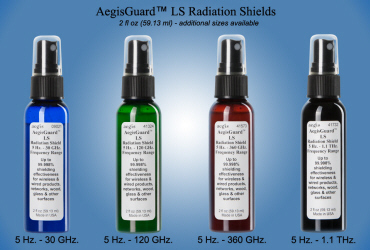 AegisGuard™ LS Radiation Shields are formulated using multiple, proprietary shielding compounds micro-encapsulated and suspended in an unscented liquid made from natural ingredients derived solely from plants. Each shielding compound is effective within a specific frequency range and there has never been an allergic or skin reaction reported by any user. The liquid has a consistency similar to very lightweight oil and serves as the medium for transferring the shielding compounds onto a surface via a fine-mist spray, where they expand and adhere to virtually all porous and non-porous surfaces within a few seconds after being applied (the shielding compounds do not adhere to the fully recyclable blue PET/PETE AegisGuard™ LS bottle and other plastics used for beverages, shampoos, etc.). The liquid is wiped off all products having an AC or DC power source, glass and plastic, including windows and skylights, and can either be wiped off or left in place on porous surfaces, such as wood, brick and stone until it fully absorbed. Surfaces are not marred or damaged in any manner whatsoever, nor are the visibility of tightly sealed glass or plastic affected when the liquid is fully removed. The shielding compounds effective at frequencies below 100 Hz., such as those generated by the human body and products operating at 50 - 60 Hz., always remain fixed in place. When applied to all sides of a electrical product, internally generated frequencies are deflected and diffused inside the product until its dissipates, or until escaping from ventilation openings. 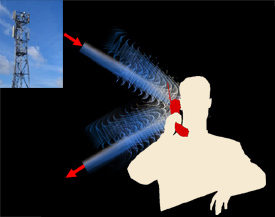 Frequencies above 100 Hz., are deflected away from shielded surfaces until identical transmit and receive frequencies are present on both sides of the surface, such as when using a cell phone placed against the head. When this occurs, frequency specific shielding compounds above 100 Hz. begin oscillating to facilitate communication, while the fixed lower range compounds on the front of the phone preventing up to 99.998% of the radiation from penetrating the body. 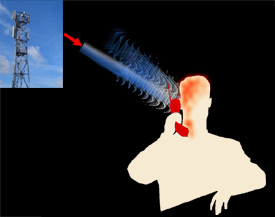 Oscillation ceases when identical frequencies are no longer present, such as when a call is terminated. See AegisGuard™ Life (L) Series for additional information and examples.